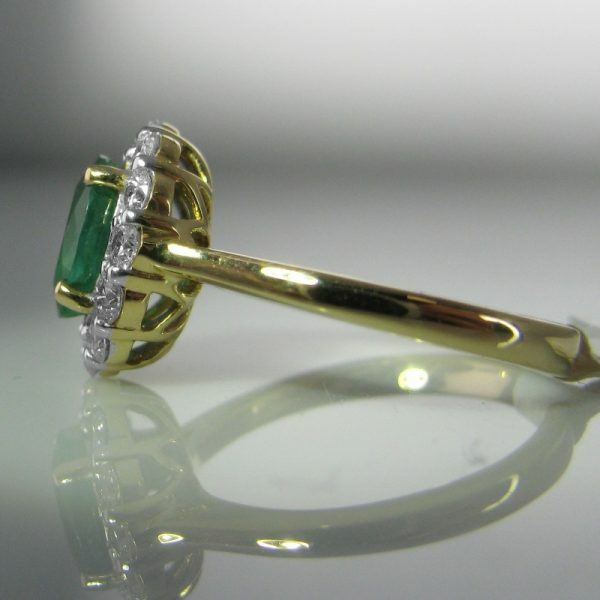 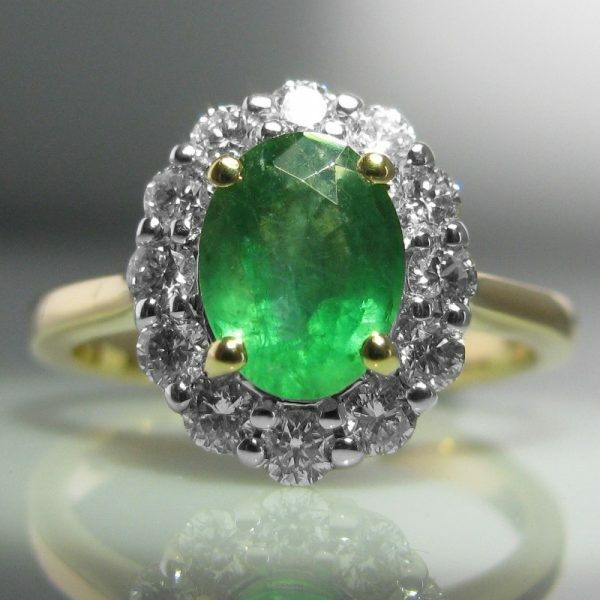 A beautiful emerald and diamond ring set in 18k yellow gold. 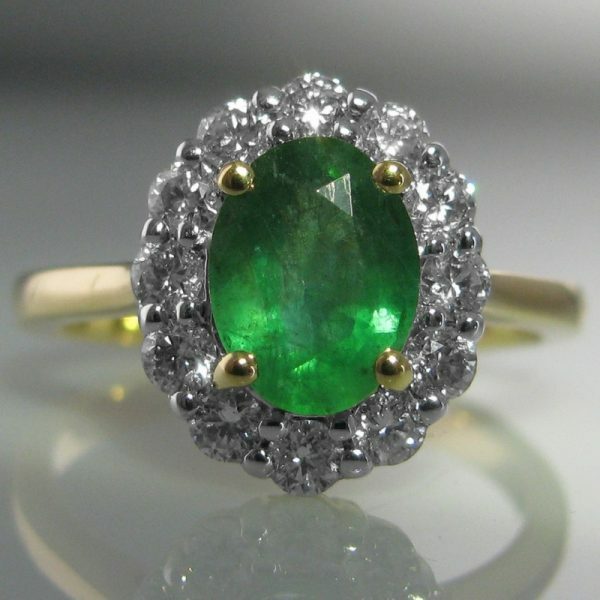 The substantial oval emerald has a total carat weight of 1.19 cts, secured in a four claw setting. 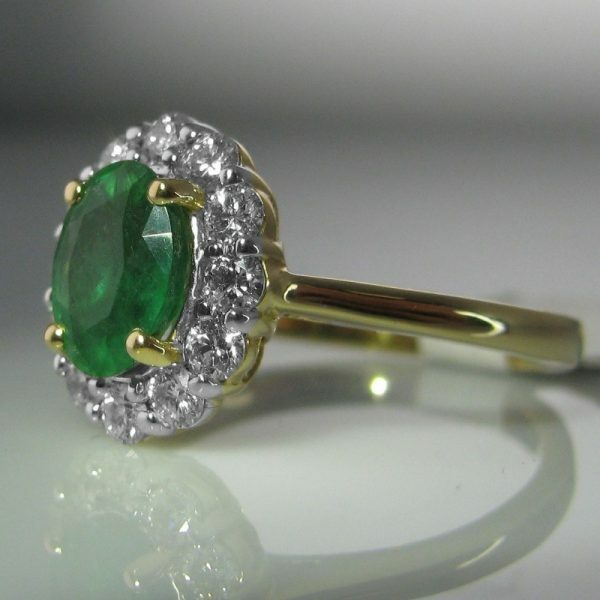 Surrounding the luscious green emerald are twelve round brilliant cut diamonds with a total carat weight of 0.55 cts. 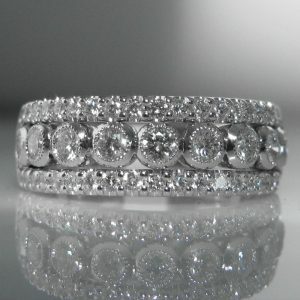 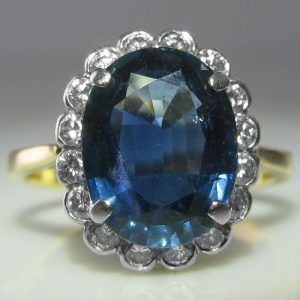 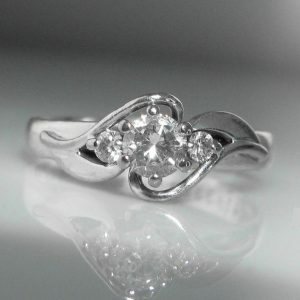 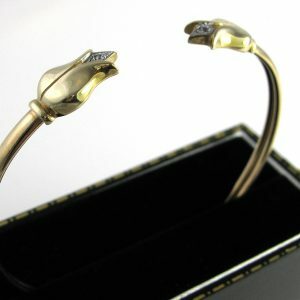 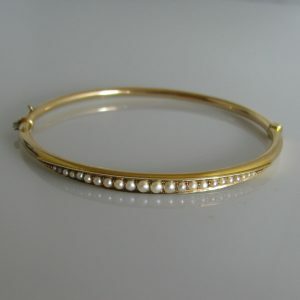 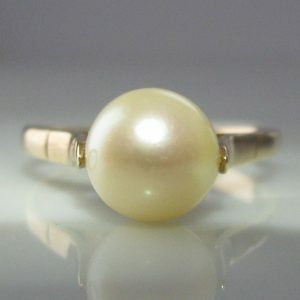 The ring is currently size N but can be resized up or down, free of charge, as required by you.